Club Med beach resorts are dotted around the globe in stunning coastal locations. Many of these have warm, clear blue waters, perfect for learning and practising water sports. When you stand on the beach, tasting the salt on the sea breeze in Greece, Turkey, the Caribbean or the Maldives, how can you resist the allure of the wind on the water? 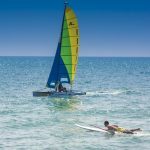 Professional coaching in sailing, windsurfing, waterskiing, snorkelling and surfing is available at most resorts and included in your all-inclusive package. 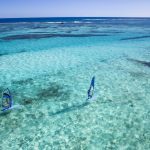 Scuba-diving and the chance to explore coral reefs, shipwrecks and a gloriously colourful underwater world is possible in some destinations, although there may be a supplementary charge. 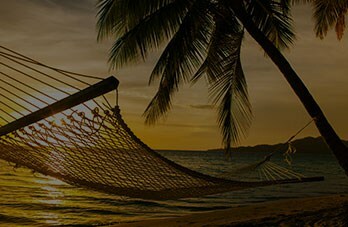 Whether you’re new to messing about in boats and riding the waves, or you’d simply like to develop your already advanced techniques, doing that whilst on holiday for a week or two is a great opportunity to do so. 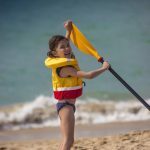 Let’s take a look at each water sport in detail. 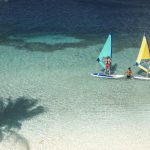 The Club Med water sports program at many of the resorts includes a sailing school. 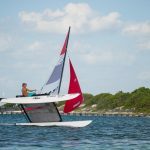 You’ll be taught how to take command of a single or multi hulled vessel under the guidance of an experienced sailing instructor and even have a chance to take recognised tests to achieve certification. This opportunity is available for adults and kids. 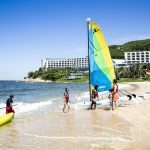 Whether you fancy windsurfing for speed or wave- jumping, tuition and equipment will be available at most Club Med beach resorts. They’ll do their best to get you off the beach and onto the boards. A word of warning; windsurfing, much like surfing, is highly addictive. Once you’ve had a taste of how it feels to sail along the water at several knots, with the sun on your back and the wind in your hair, hitching a ride on the swell into the shore, you’ll find yourself instinctively checking the wind direction and suitability every single morning! Waterskiing is one of those sports for which you need help from others to do it. The boat won’t drive itself after all! 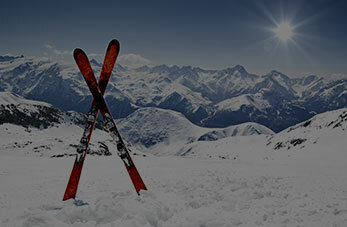 Being on holiday with a Club Med package is an ideal way to try it. A skilled instructor will show you how to stand, balance and grip the line, before gradually helping you to progress. You will enjoy thrilling rides and an incredible view of the coast, even if it is seen at speed. Scuba-diving and snorkelling are great ways to see what lies under the waves and embark on a world of underwater discovery, while kitesurfing will introduce you to a high-speed world of adrenaline, much like windsurfing, but with an added dimension.